As part of the 2011 Rails & Ales weekend the organisers arranged with First Great Western for one of their class 150 1xx units to travel from Exeter St David's to the festival at Staverton. 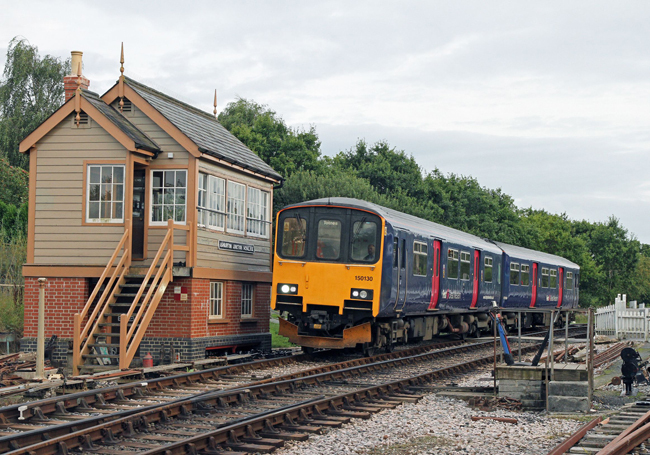 This is the first time a class 150 “Sprinter” unit has traversed the branch from the mainline - the previous unit to visit the Ashburton Branch being a Plymouth Railway Circle Class 142 “Skipper” in pre privatisation days. 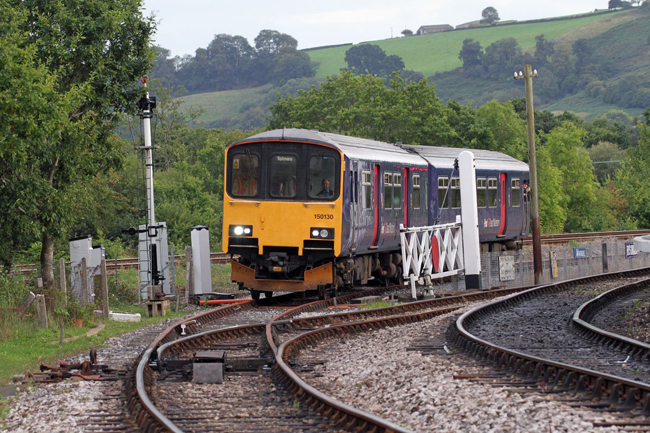 Hopefully this is the first of many co-operative workings between FGW and the SDR. The first two pictures, by John Leonard and Colin Wallace respectively, were taken as the unit crossed over onto SDR metals from Network Rail. It has to be stressed that both John and Colin were able to take their pictures because they are in possession of an SDR PTS and lineside permit. These are available from the SDR main offices at Buckfastleigh. Click here for more information. 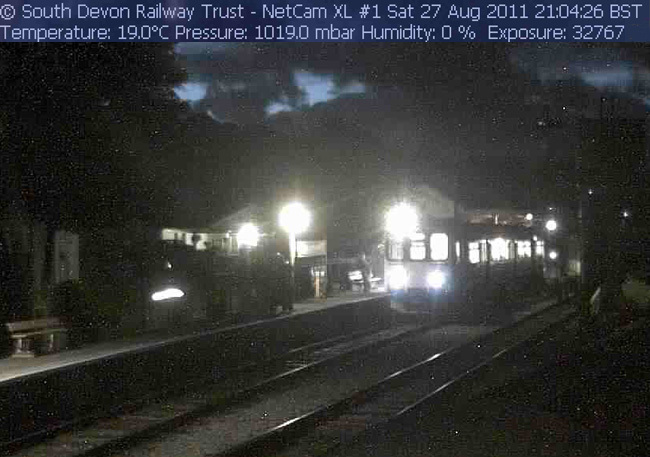 The second image is from the SDR WebCam and was caught by Richard Elliott. These images have come to us via an appeal in the SDRA round robin. If you have any other pictures for us then please forward to the .